SEOUL (Yonhap) -- Leaders of South Korea and China held a summit meeting in Beijing on June 27 and agreed to work together for a nuclear-free Korean Peninsula, saying that ending North Korea's nuclear arms program serves the two countries' common interest. South Korean President Park Geun-hye said after the summit talks that she reached an agreement with Chinese President Xi Jinping that a nuclear North Korea is unacceptable "under any circumstances." They said North Korea's development of nuclear weapons poses a "grave threat" to peace and stability in the region and the world. Following their meeting in the Chinese capital, a joint communique on a future vision for South Korea-China bilateral ties was issued. Park's four-day state visit started with the summit, the first opportunity for the new leaders of Seoul and Beijing to discuss their North Korea policies and other diplomatic and economic issues. 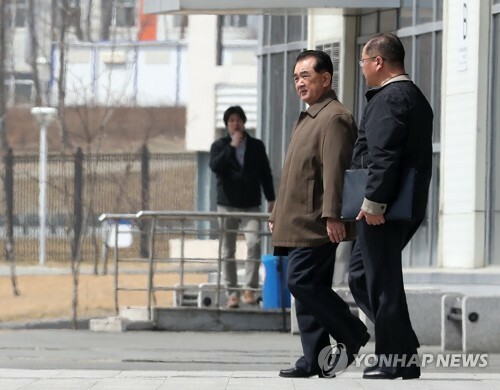 The meeting was watched closely as to how much support Park would win from North Korea's most important ally in pressuring Pyongyang to give up its nuclear programs. "We shared an understanding that North Korea's possession of nuclear weapons cannot be tolerated under any circumstances and confirmed that realizing the denuclearization of North Korea and maintaining peace and stability on the Korean Peninsula conform to the common interests of the two countries," Park said during a joint news conference with Xi. Xi said the two sides agreed to work together to denuclearize the Korean Peninsula, but he stopped short of saying explicitly that North Korea should be disarmed. 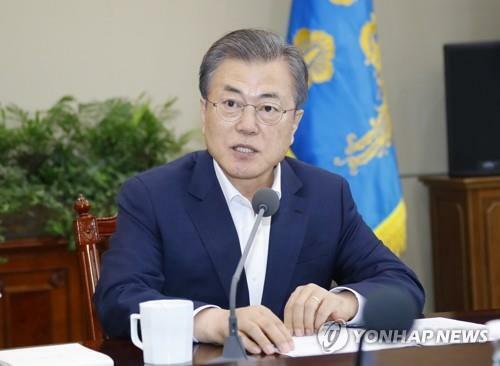 Instead, he put greater emphasis on calling for the resumption of the long-stalled six-party talks with the aim of ending Pyongyang's nuclear ambitions. The six-party disarmament talks involve the two Koreas, China, Japan, Russia and the United States. The on-again, off-again talks were launched in 2003 but produced no lasting results. The talks have been suspended since the last session in late 2008. A joint communique, issued after the summit, said the two sides agreed that North Korea's nuclear program poses a serious threat to regional and world peace, and they pledged to work closely together to make the Korean Peninsula free of atomic weapons. The two sides also urged North Korea to abide by all of its denuclearization commitments and called for efforts to resume various forms of dialogue within the six-party framework and create conditions for the resumption of the multilateral dialogue forum, the communique said. Beijing said it supports Park's "Northeast Asia peace and cooperation initiative," which calls for Asian nations to enhance cooperation, first on non-political issues before expanding the trust built through such cooperation to other areas. In the communique, China expressed support for the Park administration's efforts to have dialogue with North Korea to thaw the icy inter-Korean relations. 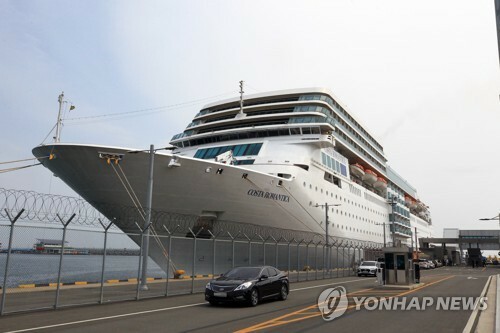 It also said China welcomes Park's trademark "Korean Peninsula trust policy" vision, a two-track approach of pressure and flexibility in dealing with North Korea so as to foster trust and reduce tension between the two Cold War foes. 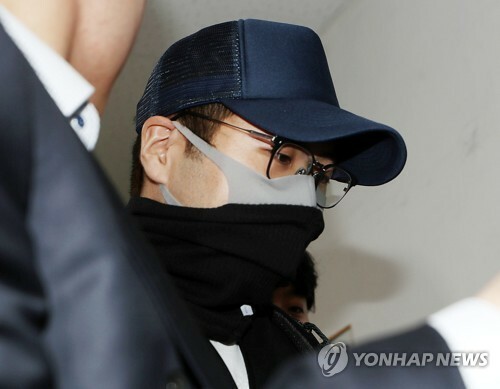 "The two sides agreed that the two Koreas are the principal concerned parties of the Korean Peninsula issues," the statement said. "To resolve the issues, they must take initiative through talks between the two governments." South Korea expressed hope that China would play a more constructive role to bring about change on the peninsula and China expressed its support for the improvement of inter-Korean relations based on dialogue and trust. China's support for inter-Korean dialogue came after talks between Seoul and Pyongyang were recently called off at the last minute. 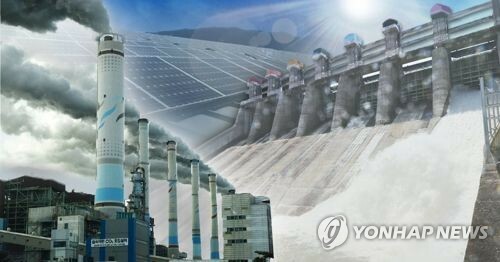 The two Koreas agreed to have a meeting in Seoul earlier in June, but the plan was scrapped at the 11th hour after they failed to agree on the ranks of the chief negotiators. Park and Xi also agreed that all past pledges to end the North's nuclear program, including U.N. Security Council resolutions and the Sept. 19, 2005 joint statement from the six-party talks, must be implemented fully. In the 2005 agreement reached at the six-party forum, the North promised to dismantle all its nuclear arms and return to the non-proliferation treaty. The Seoul-Beijing summit came as China has been taking an unusually tough stance on Pyongyang after the belligerent regime pressed ahead with a long-range rocket launch in December and its third nuclear test in February in defiance of Beijing's appeals. As a key provider of economic aid and diplomatic protection for North Korea, China has long been considered the only country with any meaningful influence over Pyongyang, though it has been reluctant to use that leverage over concern that pushing the North too hard could hurt its national interests. 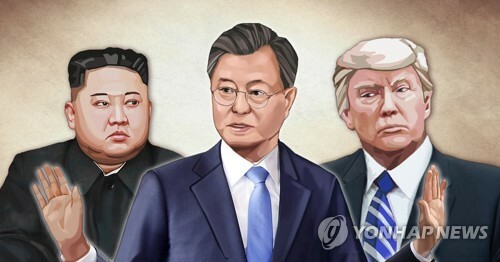 According to South Korean officials, it was the first time the two countries' presidents stipulated in a joint statement that they are working together to denuclearize the Korean Peninsula. 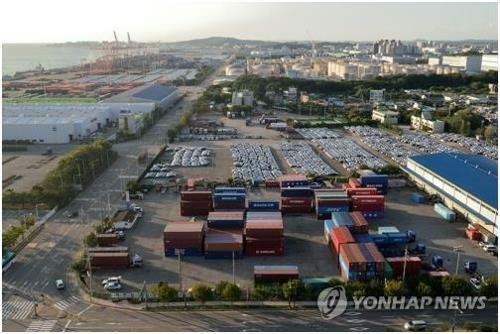 Seoul's Foreign Minister Yun Byung-se said the joint communique is highly meaningful. "There was the part that (said the North's) nuclear armament poses a threat to peace not only on the Korean Peninsula but also in Northeast Asia ... This is an indirect expression that (the North's nuclear program) poses a threat to China as well," he said. Some analysts say that China could be shifting its policy focus on Pyongyang as the prospect of a nuclear North Korea has become a valid concern following February's atomic test. Since the nuclear test, China has backed a U.N. sanctions resolution against the North and has been carrying out the restrictions more vigorously than before. In March, the U.N. Security Council unanimously adopted Resolution 2094 to punish Pyongyang for its underground nuclear test on Feb 12, calling for the international community to toughen sanctions on the socialist country and blacklisted 19 North-based firms and 12 figures. Under the resolution, U.N. member states are required to put tighter restrictions on North Korea's financial activities and conduct thorough inspections of air and sea cargo headed to the country. Beijing even joined in separate American sanctions by suspending all transactions with the North's Foreign Trade Bank, which was accused of financing Pyongyang's nuclear programs. 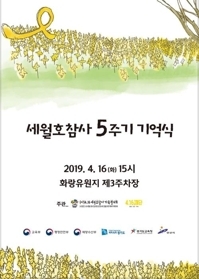 In protest of the fresh international sanctions and the annual South Korea-U.S. military exercises, Pyongyang ratcheted up tensions with near-daily war threats and by withdrawing all of its workers from the inter-Korean industrial park in its border city of Kaesong in May. Observers say, however, China's recent toughened stance toward the North does not represent any fundamental change in policy. They say China still places top priority on keeping Pyongyang alive for instability in the neighboring nation could hurt its economic growth, trigger a massive influx of refugees and lead to the emergence of a unified Korean Peninsula under South Korean and U.S. control directly across its border. Much of the Seoul-Beijing summit was also devoted to moving bilateral relations forward as well. After ending their cold war hostility, South Korea and China tied the diplomatic knot in 1992. 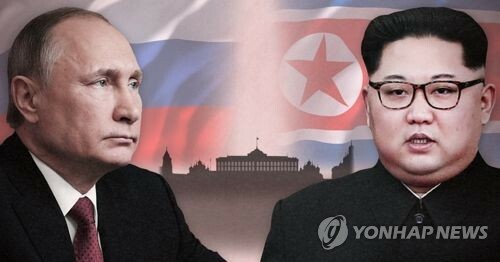 In addition to the North Korea issue, the two countries agreed to improve relations by promoting strategic communication on political and security issues. Among the plans for political exchanges, Seoul and Beijing agreed to create a new channel for dialogue on security issues between South Korea's presidential chief of national security and China's state councilor in charge of foreign affairs. Over recent years, North Korea's nuclear aspirations have emerged as a thorny issue as the international community asks Beijing to use its power to persuade Pyongyang to end its atomic weapons program. China's commitment to the denuclearization of the peninsula reflects its concerns that a nuclear-armed North Korea would prompt the U.S., Japan and other rivals to boost their own military might and thus undermine its national interests. However, as tensions escalated on the peninsula this year, Chinese President Xi Jinping had been pressing the Kim Jong-un regime to cease provocations and drop its nuclear ambitions. But the communique at the Beijing summit failed to carry significant measures to rid North Korea of its atomic devices or address the strategic instability that stems from them. 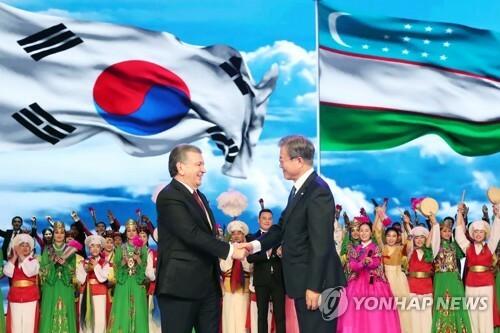 It merely carried a pledge to "reinforce various forms of bilateral and multilateral dialogue within the six-party talks to realize the denuclearization of the peninsula." At an earlier meeting with U.S. President Barack Obama in California, Xi reaffirmed that he would not accept the North as a nuclear state. Apparently caving in to pressure, Pyongyang proposed a high-level governmental meeting with Seoul in early June. The inter-Korean talks were scrapped, however, over the level of top representatives from each side. Five days later, North Korea abruptly proposed dialogue with the United States on June 16 through a spokesman's statement by the National Defense Commission (NDC), the top decision-making body chaired by leader Kim Jong-un. 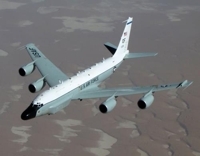 It asked for talks with senior U.S. officials so they could discuss various matters, from easing military tensions to changing the Armistice Agreement into a peace treaty to building "a world without nuclear arms." Washington responded with demands that Pyongyang prove its sincerity by taking steps toward denuclearization. 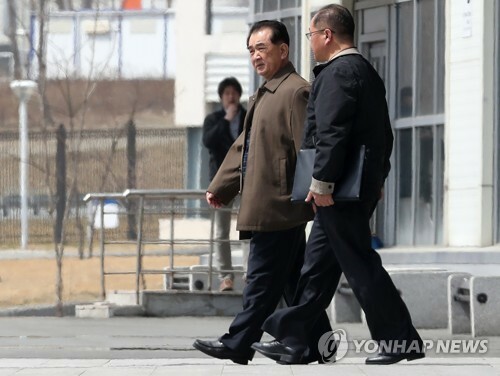 Cho Tae-yong, Seoul's special representative for Korean Peninsula peace and security affairs and top nuclear negotiator, called for "stronger obligations" on the North before any restart of talks than those stipulated in its defunct agreement with the U.S. on Feb. 29, 2012. Under the so-called Leap Day Deal, Pyongyang agreed to put a moratorium on its nuclear enrichment program, stop atomic and missile tests, and let in IAEA inspectors in exchange for 240,000 tons of food aid. But North Korea is deploying a two-pronged diplomatic offensive for moderate negotiations coupled with a tough stance on its nuclear weapons program. North Korea's top nuclear envoy Kim Kye-gwan recently reaffirmed the North is willing to participate in any forms of dialogue with related countries, but its top envoy to the United Nations remained tough in the country's stance toward South Korea and the U.S. over the dismantlement of Pyongyang's nuclear weapons program. In New York on June 21, North Korean Ambassador Sin Son-ho reaffirmed Pyongyang's offer of senior-level talks with Washington to defuse tension, discuss a peace mechanism to replace the 1953 armistice and resolve the nuclear weapons issue. 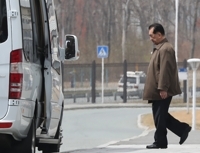 But he reiterated Pyongyang's war threats coupled with a typical dialogue offer. Sin's news conference came shortly after Kim Kye-gwan, a North Korean vice foreign minister in charge of nuclear bargaining, reiterated the regime's willingness to engage in "various dialogues, including the six-party talks," at a meeting in Beijing with Yang Jiechi, a Chinese State Councilor in charge of foreign affairs. Kim Kye-gwan held a "strategic dialogue" with Chinese Vice Foreign Minister Zhang Yesui on June 19 in Beijing. He reasserted that Pyongyang wants to resolve its nuclear issue through dialogue.